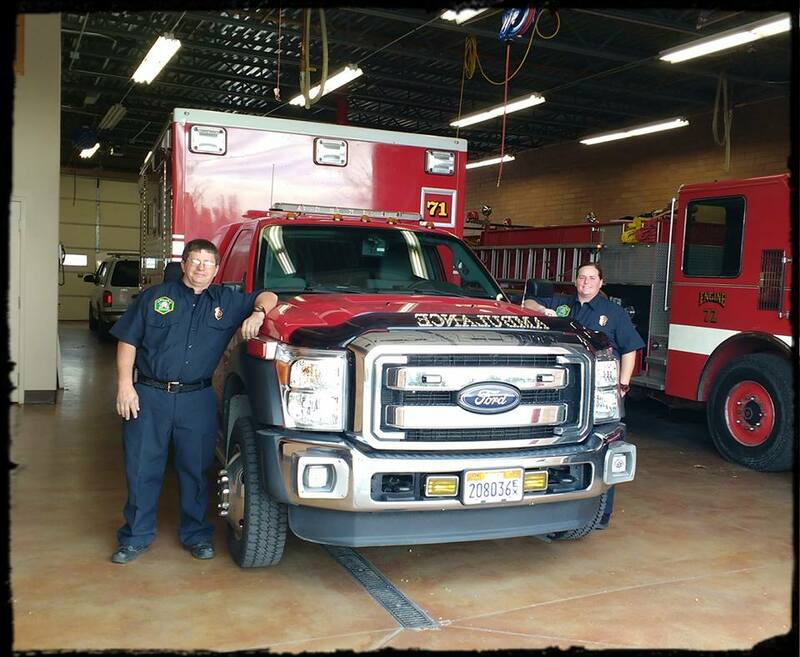 Under the direction of the Mayor, Fire Chief, and City Council, the Public Safety Department is responsible for management of the City’s public safety and community policing programs. 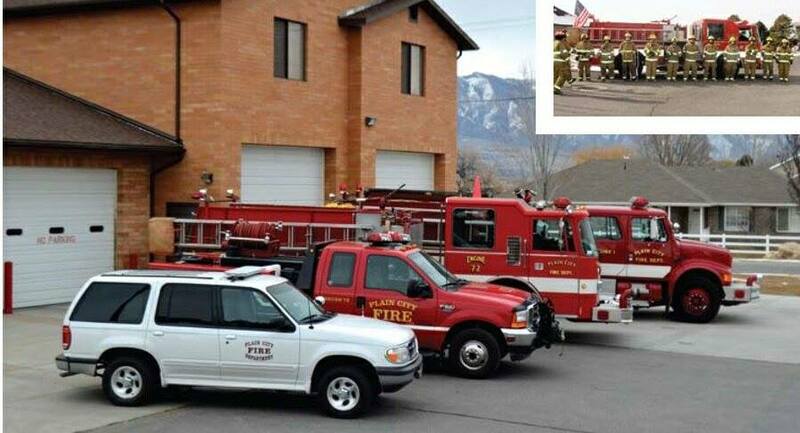 These include permanently staffed ambulance from 8 A.M. to 5 P.M. (other hours staffed by volunteers), Plain City’s law enforcement services contract with the Weber County Sheriff’s Department and contracts for law enforcement support services, including patrol helicopter, animal control, district attorney, probation, crossing guard, and special legal services. 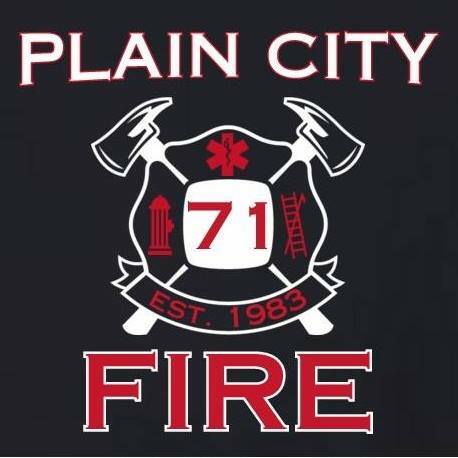 The Public Safety Department manages the day-to-day operation of the Plain City Fire Station and provides clerical and other staff support as required. 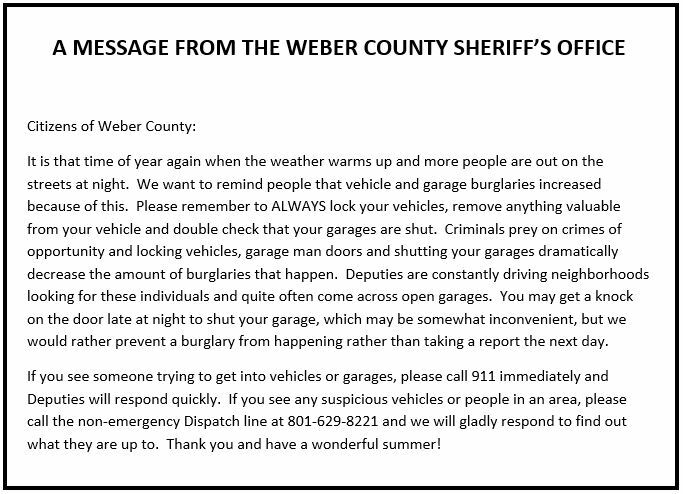 Weber County Sheriff’s Office provides all direct law-enforcement services for Plain City. The Sheriff’s Office also contracts with the U. S. Forest Service to strengthen security in the Wasatch-Cache National Forest. They provide School Resource Officers in three high schools and three junior high schools and direct the NOVA program in fourteen elementary schools throughout the county. As participating members of the Youth Court program, the Weber County Sheriff’s Office helps youth understand the importance of good citizenship. 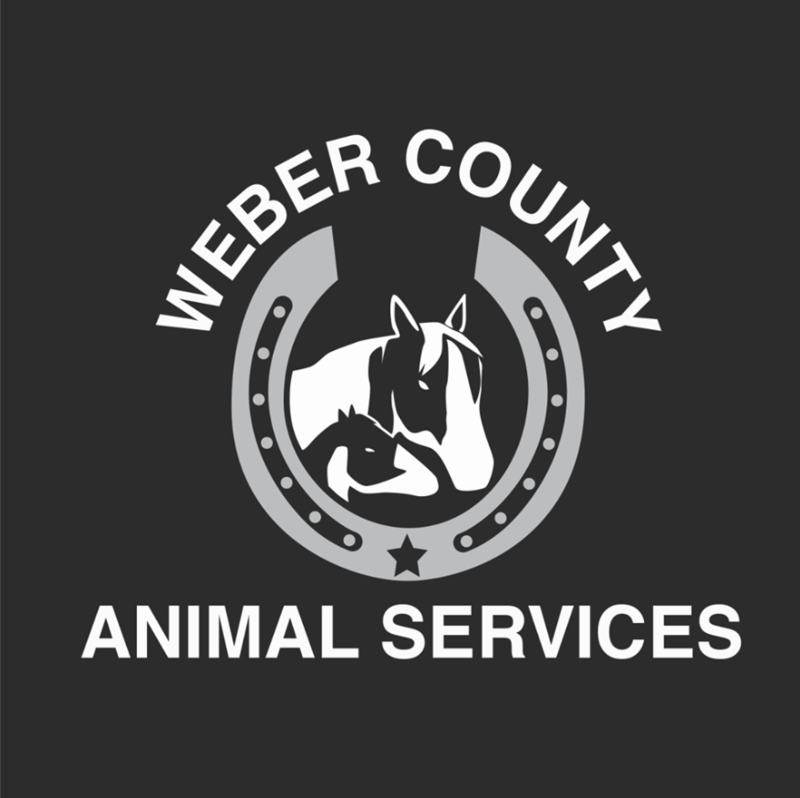 To provide public safety and protect the health and welfare of the animals in our communities. A responsible community where all animals are safe from abuse and neglect and are provided a quality life. We value each employee, volunteer and community partner who contributes to the humane treatment of animals. We operate in an atmosphere of open and honest communication.